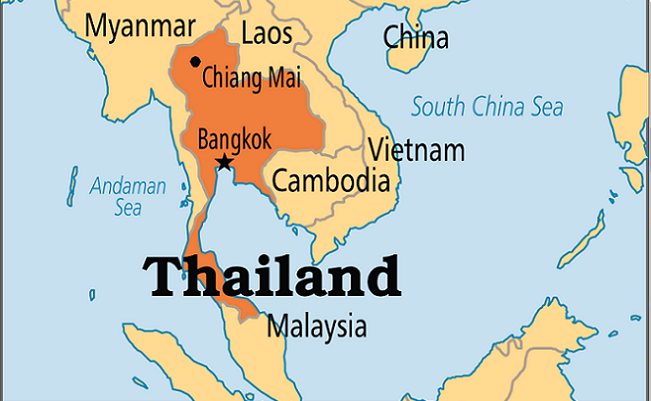 There is no doubt that Thailand is one of the most visited South East Asian countries. Tourists flock here for not only the pristine beaches, delicious cuisine and cultural history but for a tonne of other reasons too. 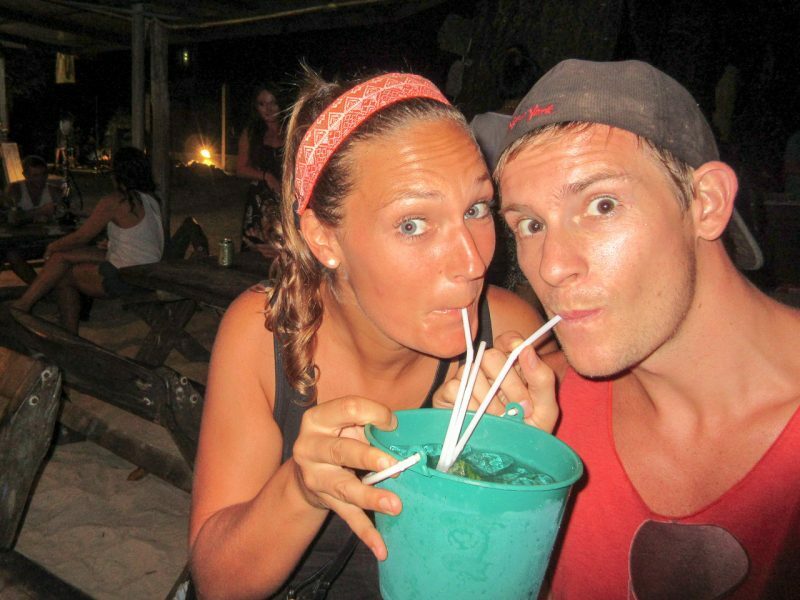 Jacob had been to Thailand before (10 years ago) and never stopped raving about it. It was always high on my bucket list so, fortunately, this time around we had 3.5 weeks to enjoy it together. Below we’ve compiled a list of 24 reasons why you’ll love Thailand. This is #1 for a reason. Thailand is extremely affordable for any form of a budget, making it the perfect holiday destination. You’ll find such a vast range of accommodation, food, transport, activities. Budget accommodation for as low as $5 a night (dorm), mid-range at $10/night for a private A/C room, meals for as low as $2, massages for $5. We could go on and on. Thailand simply offers incredible value for your money without lacking the quality. 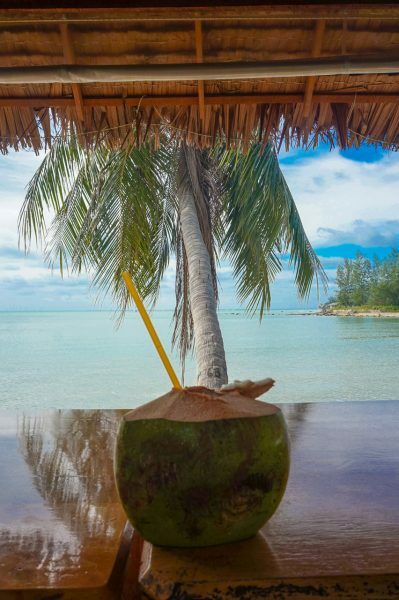 Who doesn’t love a cold fresh coconut? Actually, I don’t… BUT Jacob lives for these and had one almost every day. They are best served chilled and can be bought at any roadside stall, beach bar or restaurant. The perfect cure for a hangover. 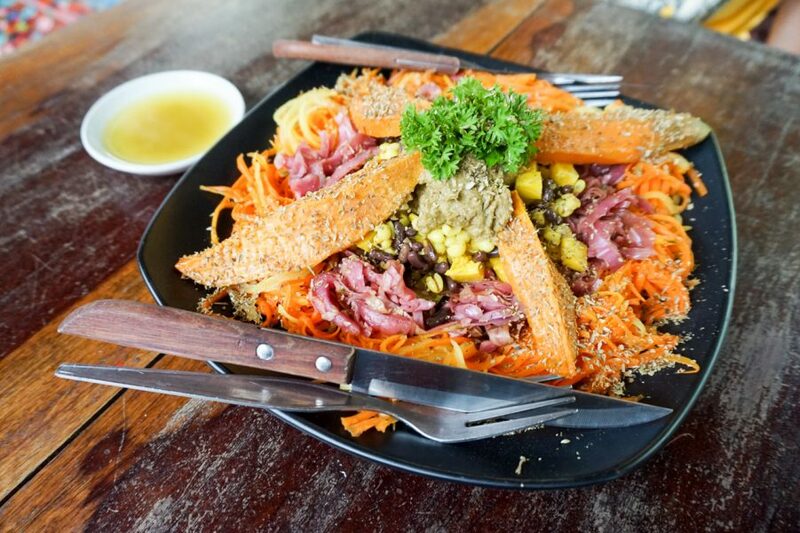 We know you don’t come to Thailand to eat french fries and burgers but sometimes, you become tired of the local cuisine, especially if you’re spending longer than 2 weeks in the country. If you’re missing something from back home, I bet you can find it. Thailand has the biggest international range of food and it’s GOOD. We ate German, Italian, Mexican, Turkish and even Vegemite! It is more expensive than your regular Thai food, but it’s good to know it’s available. Ah, the beach. Our favourite place to be. 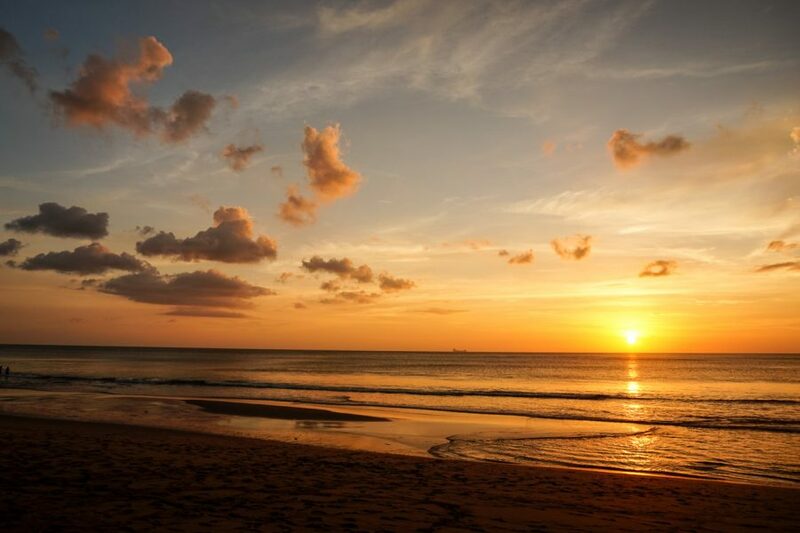 There’s no surprise we love the beach and the number of pristine beaches in Thailand, truly are endless. There are busy beaches, secluded beaches, wavy beaches, calm beaches, bays and an array of islands you can visit. 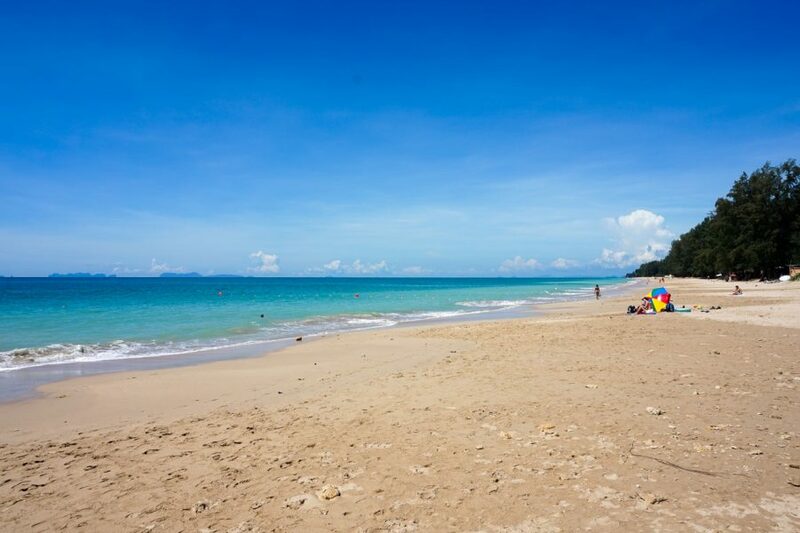 Some of our favourite beaches were on the island of Koh Lanta. 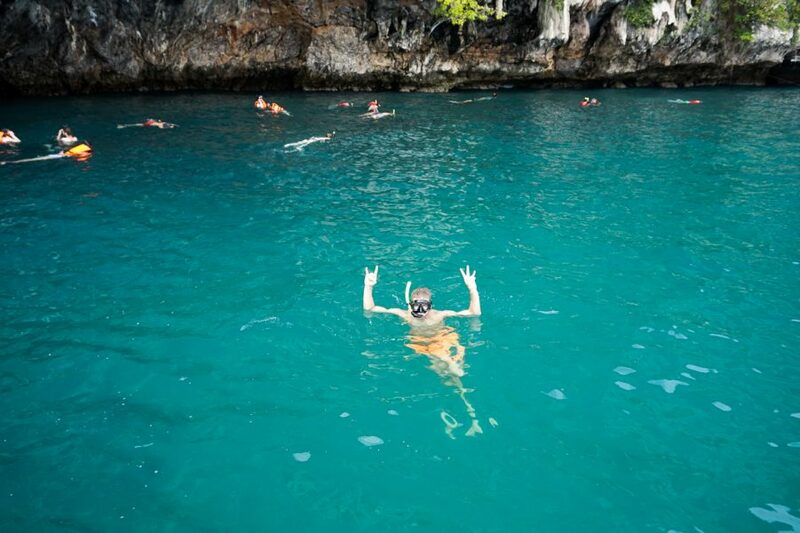 The islands are perfect for snorkelling or diving and the clear colour of the water never disappointed. Thai people are always smiling and always willing to help. Do you need directions? They’ll go out of there way to get you to where you need to be. Are you having trouble understanding someone? They’ll find someone to translate for you. We never felt unsafe communicating with any locals & they make you feel very comfortable and at home. This goes twice fold, in restaurants. There aren’t a lot of countries in this world that have massages for as cheap as Thailand does. We had our cheapest massage in Phuket for $6 USD for 1 hour! Even better, if you want a massage on the beach with the sound of the waves crashing during sunset, that’ll set you back $10. I have no idea how we are supposed to return to “real life” when we will be paying a whopping $50-$70 in Australia. I suppose getting one every day in Thailand will do the trick. What a luxury. Thailand is consistently warm year-round, sometimes too warm (say no to Bangkok in April!). Monsoon season (May-November) you’ll still be wearing shorts, flip-flops and a shirt but with this heat comes some epic humidity. The ‘peak time’ to visit Thailand is during the ‘cooler’ months from November – March but year round there is always somewhere to visit. 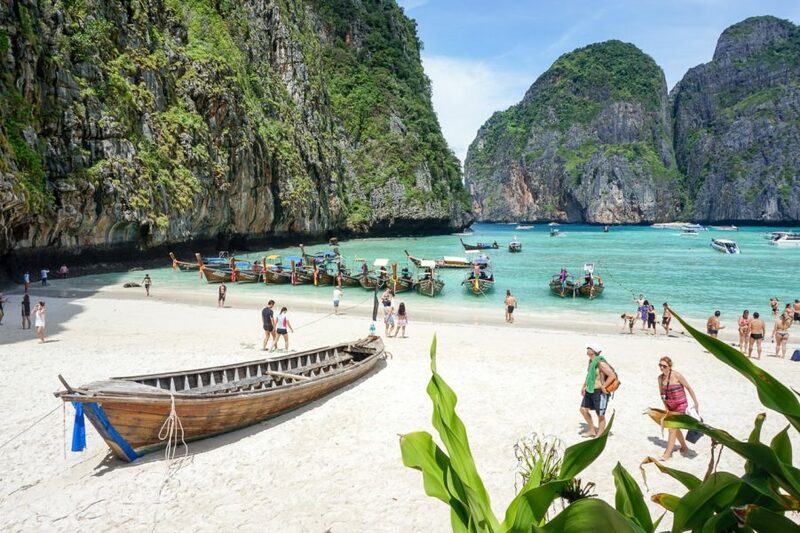 You won’t need to pack winter clothes for Thailand. Is there anything better than a fresh cold mango? Yes! An affordable one. Mango is definitely one of our favourite fruits and Thailand is all about the mangoes. 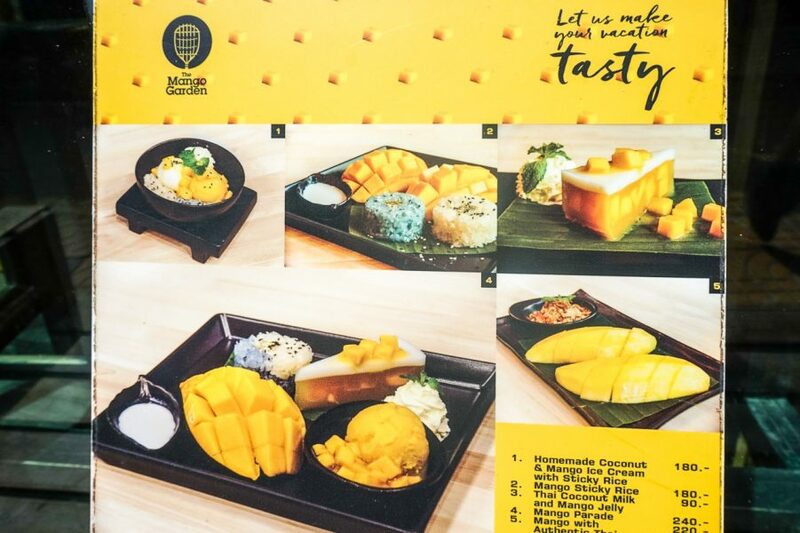 Mango desserts, mango smoothies, mango sticky rice, mango sauces. Not a day went by that we didn’t eat something containing this delicious ingredient. 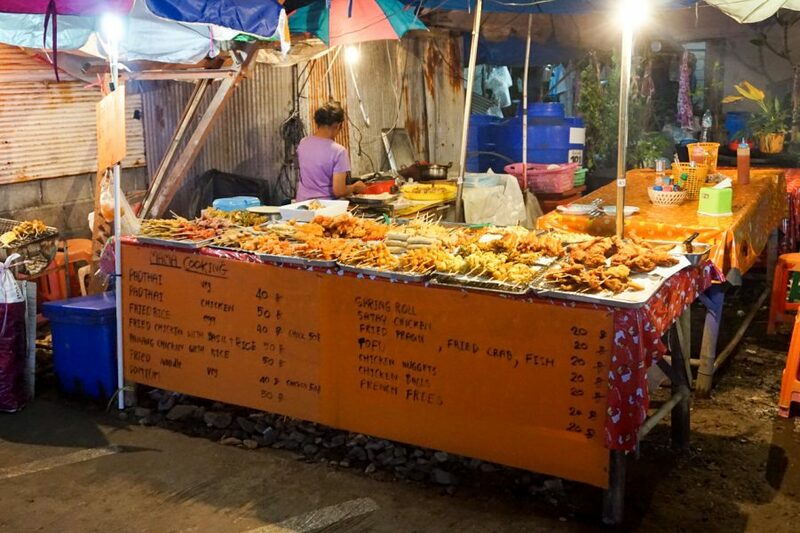 No trip to Thailand is complete without a visit to the night markets. Apart from having all the same repetitive clothing, souvenirs, and odd bits and pieces, there’s a great atmosphere at the markets, especially with the local interactions. Vendors are relatively relaxed and far less pushy than some other countries. 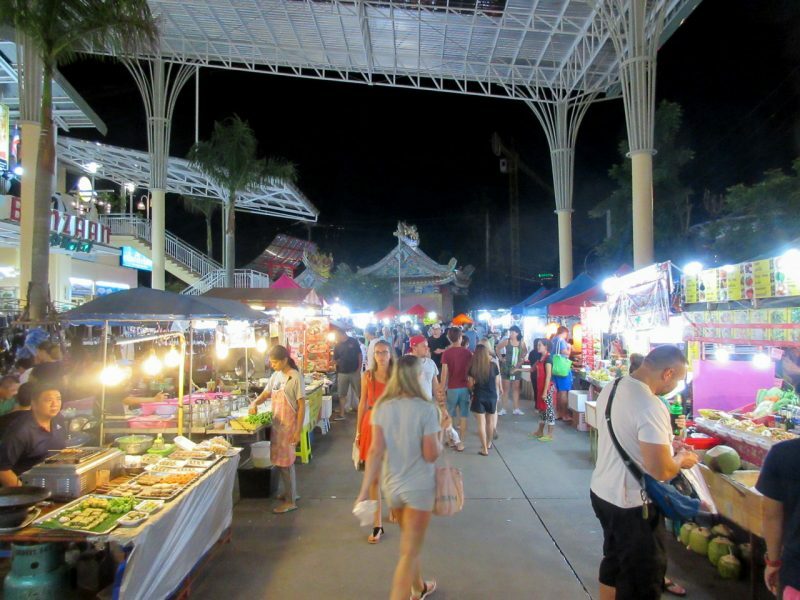 You can bargain quite well and then finish off your shopping with a stop at the food stalls. $1.50 fresh fruit smoothies, all day every day. Sometimes you’ll be ‘ripped off’ and pay $2 ( :O ) but no matter what, they are delicious. Some places can be heavy on the sugar so if you don’t want them too sweet, ask for without or with a little sugar. 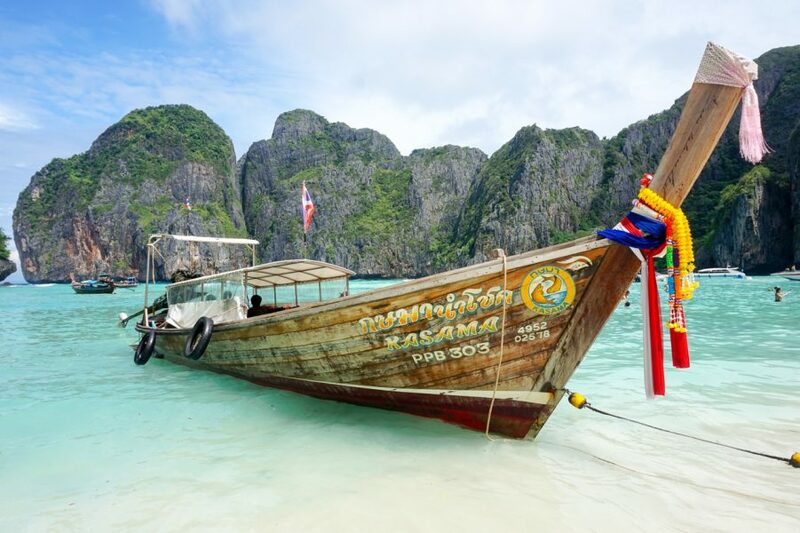 Thailand is filled with idyllic islands and many of them can be visited on day trips. Book when you get there, not online, it’ll save you a tonne of money. There are a lot of companies running day trips all over the islands making it merely impossible to have any book out. 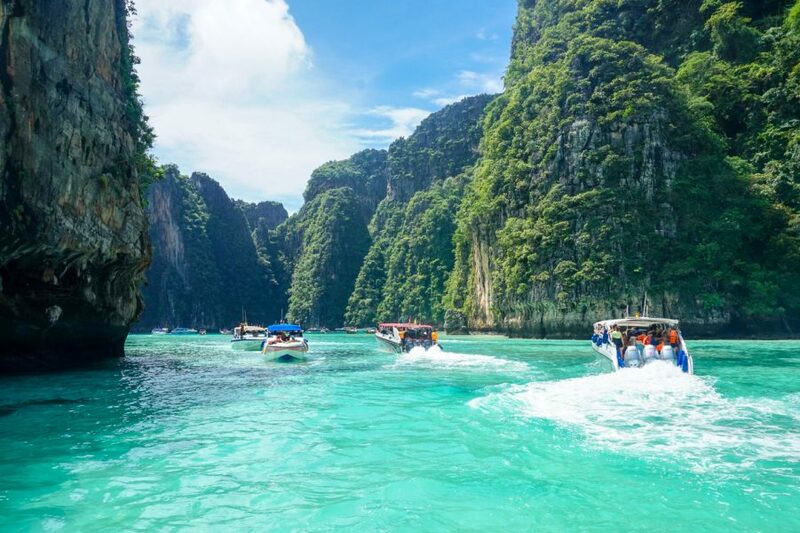 Some of the most popular island day trips are the Phi Phi/Maya Beach, 4-Island tour from Koh Lanta and the 4 Island tour from Ao Nang. Do prepare yourself for large crowds. If you want something more secluded, pay a little more money and opt for a private long-tail boat. Don’t forget to bargain for all of these tours. 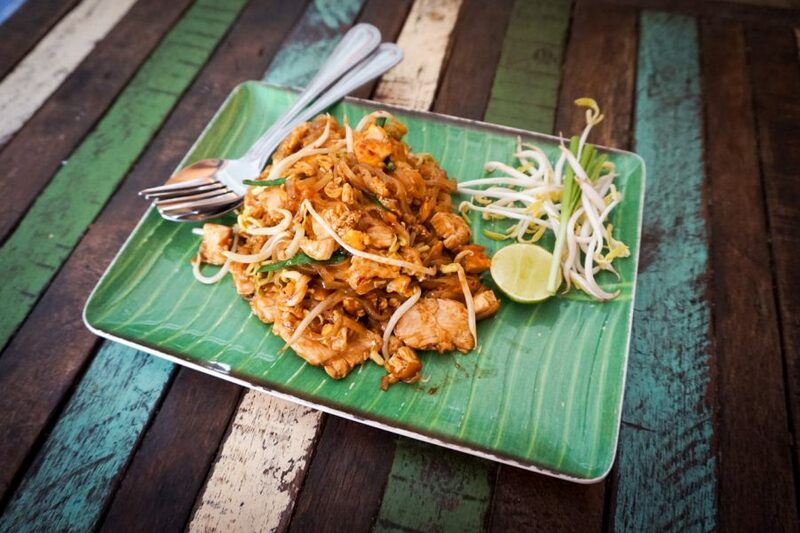 Pad Thai can be eaten for breakfast, lunch, dinner or even a snack. It was incredible how much this dish changed, it was never the same which always made for a surprise taste when it came out. Our cheapest Pad Thai was less than $2. Steal! 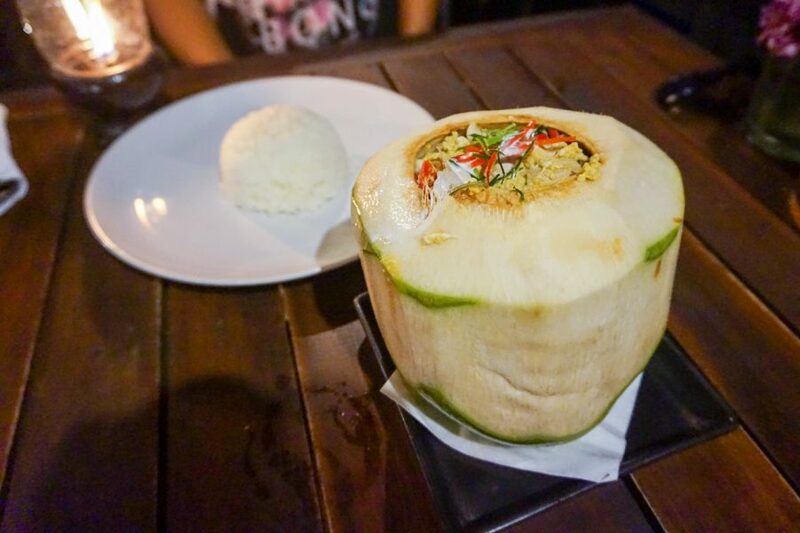 Thai food has got to be up there in our top 3 favourite cuisines. Our noses are permanently happy as they inhale the delightful aromas of the Thai spices. As Jacob would say, “I was definitely Thai in my past life”. 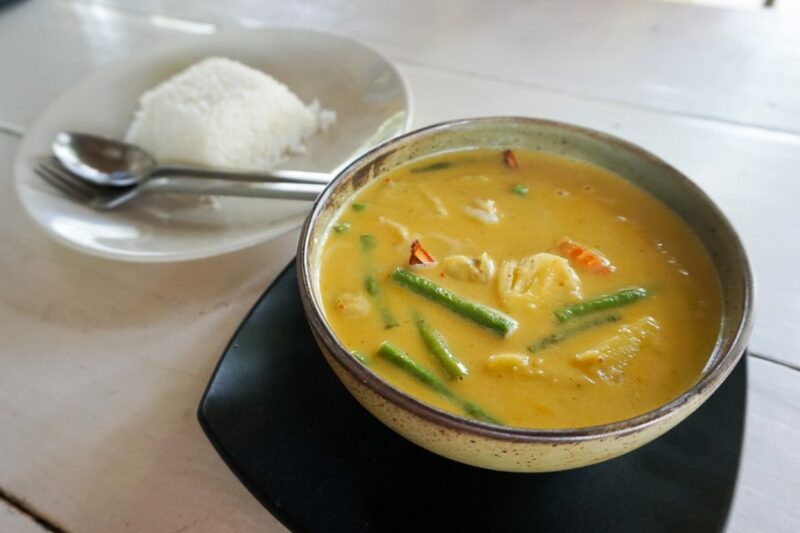 We usually get sick of the local cuisine after about 1o days but not a day went by in Thailand we didn’t have something with coconut milk, basil, spice or lemongrass. All the curries, most notably the Green Curry. 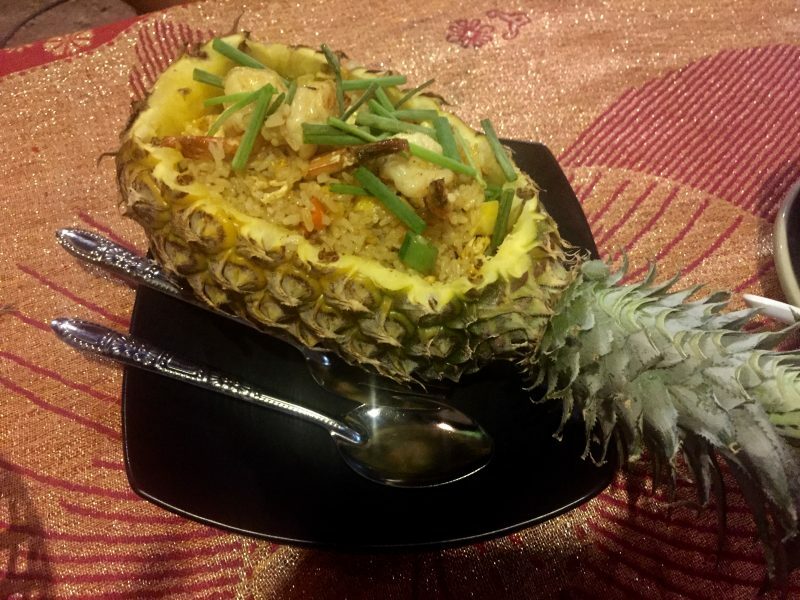 Khao Pad (Fried Rice) Our favourite was when it’s served in a Pineapple. Yam Nua (Spicy Beef Salad). Thai’s culture is deeply influenced by religion. Take some time away from the beaches, the night markets and the roadside food stalls to learn a little bit about their culture. 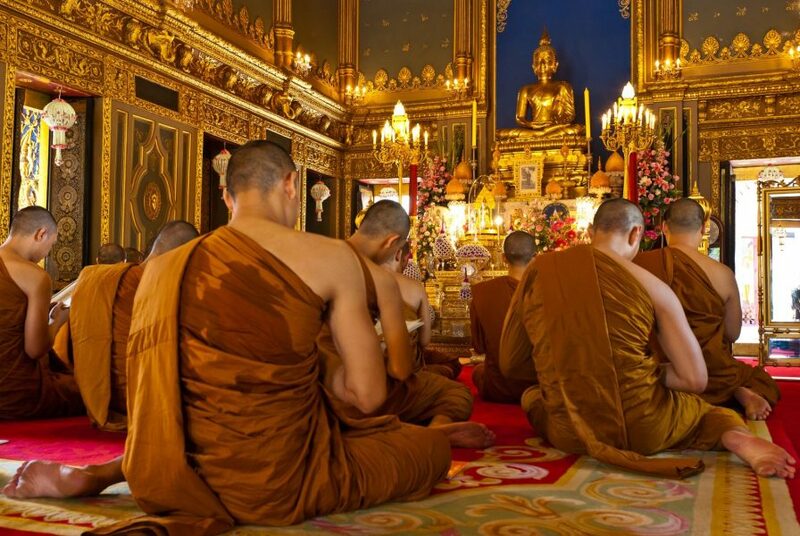 Although different regions have their own beliefs and practices, 95% of Thai are Buddhist. Whilst the Thai culture is quite strong, it is very laid back and there is an unspoken rule of treat others the way you want to be treated, always, with respect. Here are 10 interesting facts about Thai Culture. Street food! Heaven. 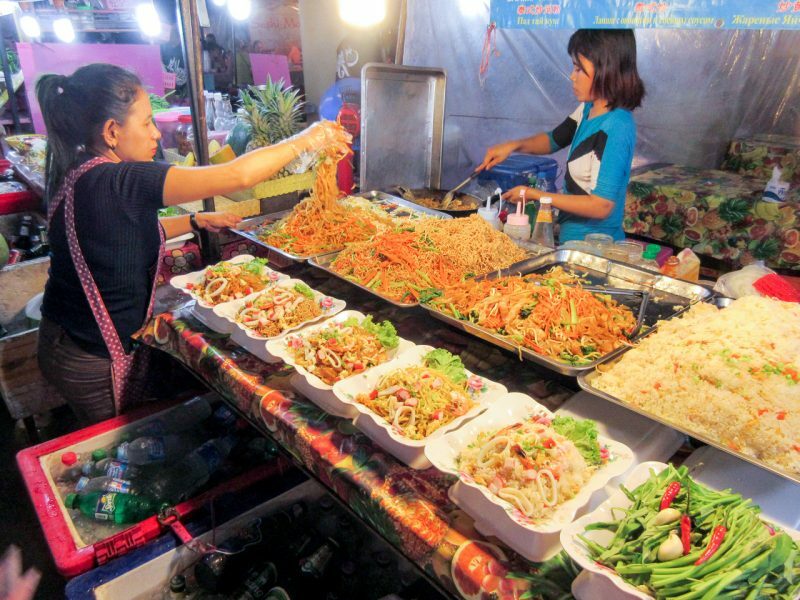 Thailand’s one place not to be put off by street food. The turn around is so high and the hygiene levels are somewhat decent. 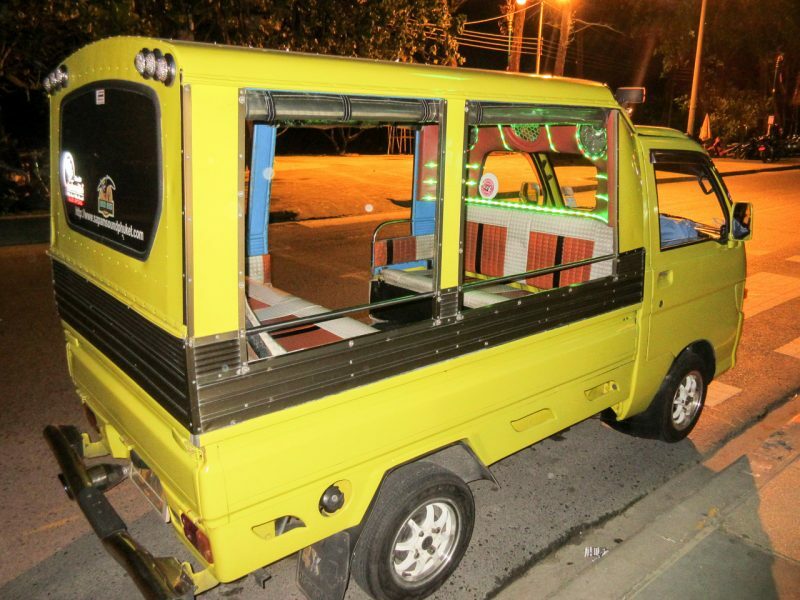 Perhaps don’t spend your first night in Thailand with a street cart, but after that, trust us, it’s so worth it. 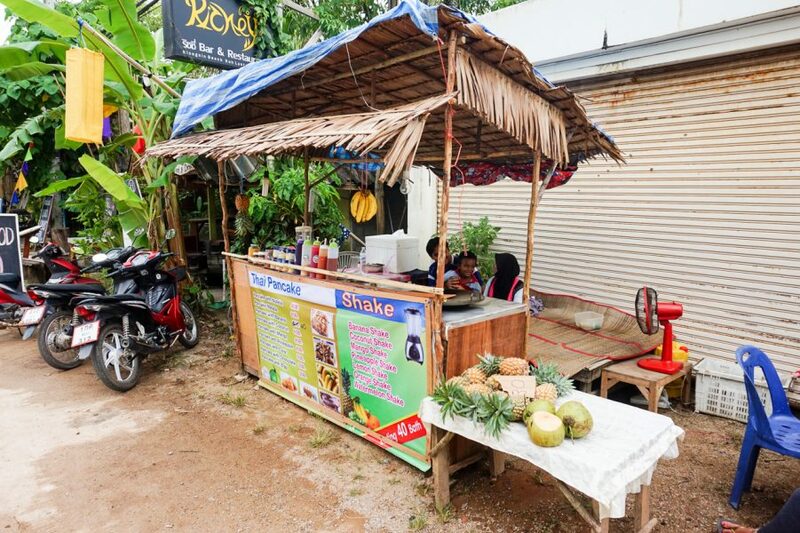 They have BBQ stalls, ice cream, fresh fruit smoothies, Thai Pancakes, curries in a bag. Everything imaginable. Get involved. Thailand is smack in the middle of a lot of countries. Not only is it centrally located in Asia, it’s halfway between Australia and Europe (unfortunately a little further from the USA!). Bangkok International Airport is the largest airport in Thailand and the 9th busiest in Asia having daily flights both internationally and domestically. Border crossings are relatively painless and 55 countries are eligible to enter without a visa. See Visa for Thailand if your nationality is. The WiFi in Thailand is amazing. 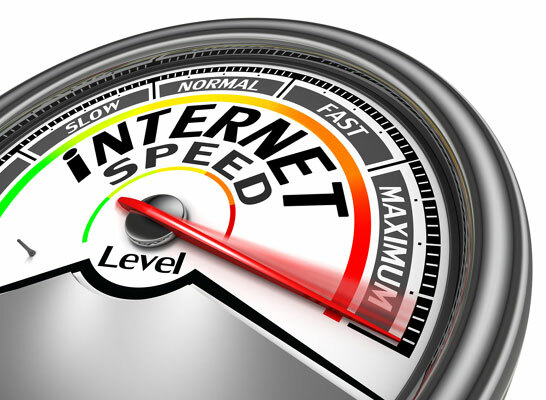 Everywhere has fast functional WiFi. 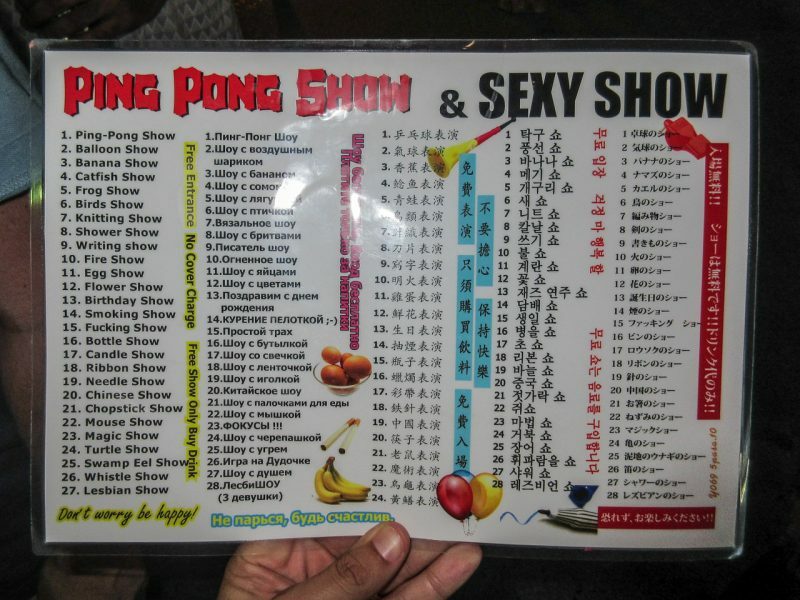 Every restaurant, bar and even massage parlours provided it. This made for 2 happy globetrotters! Motorbikes are the easiest, fastest way to get yourself around, especially on the islands. 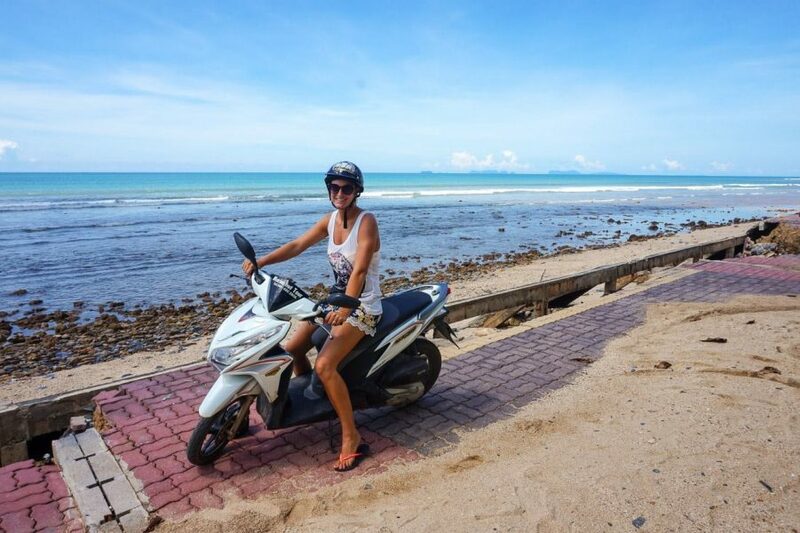 The cities can be a little scary due to the heavy traffic but cruising around the islands on a motorbike is one of our favourite things to do. They can usually be rented for a day 200 – 250 baht ($6-$7 USD) and gas is cheap. Please wear a helmet 🙂 It really can be dangerous with the locals speeding around the corners (listen to your grandma!). Certain Thai Islands are known for the parties, and they definitely know how to throw a good one. 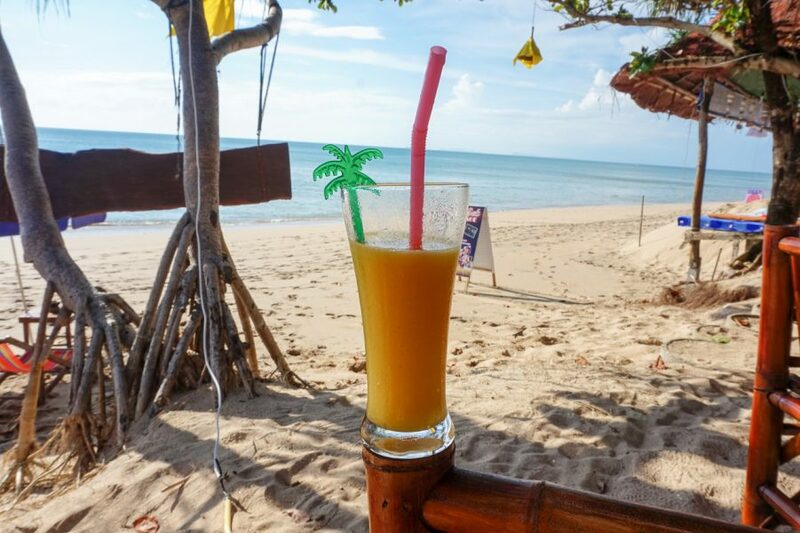 The most popular islands for parties are Koh Phangan for the full moon party, Koh Samui, Phi Phi Don, Patong Beach in Phuket and then the larger cities such as Bangkok and Chiang Mai. Buckets (literally) of alcohol are sold in the bars and on the side of the road with your choice of vodka, gin, rum or whisky + a mixer. One bucket with at least 5 shots will set you back 150 -350 baht ($4 – $10 USD). They can be lethal so be careful how much you drink! 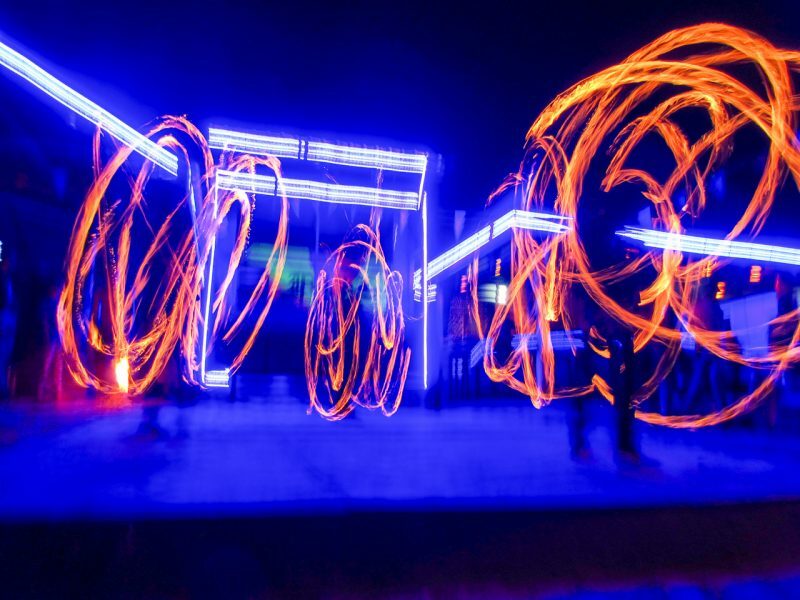 The beach parties are lined with fire shows, fire pits, blaring music and games. Transport in Thailand is efficient, extremely affordable, reliable and not to mention it is well connected throughout the whole country. There really isn’t a form of transport Thailand doesn’t have. Take your pick getting around on either a ferry, long tail boats, speed boats, bus, flight, tuk-tuks, disco tuk-tuks (shown above), motorbikes, taxis or trains. Internal flights can be booked last minute for budget prices with Air Asia and the cost rarely changes. 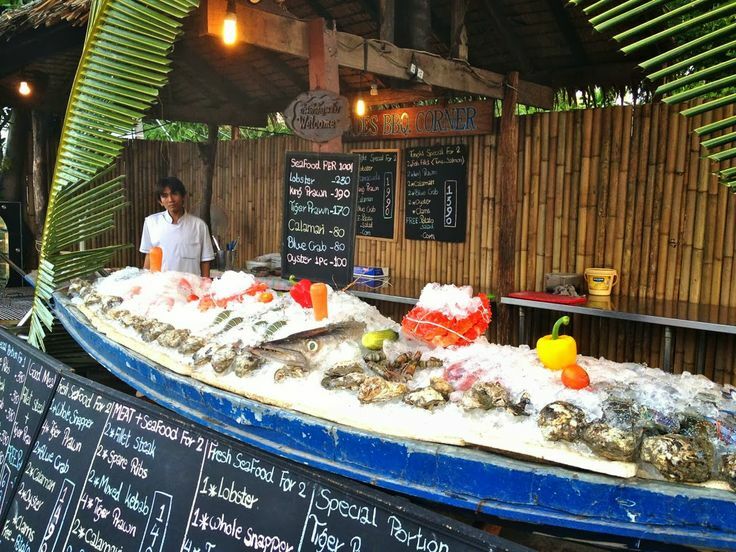 We had the freshest seafood we’ve had on this trip in Thailand, most notably in Patong Beach and Koh Lanta. Considering I never enjoyed seafood in the past, I now thoroughly enjoy it. 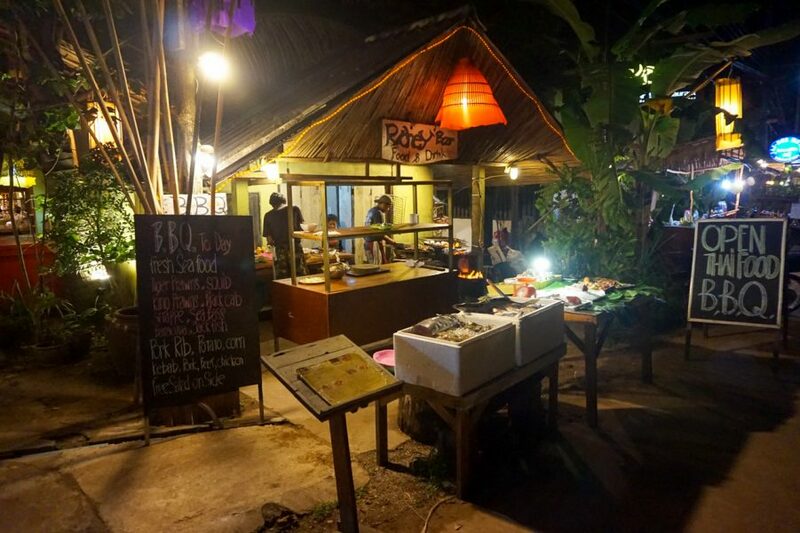 Beachside BBQ’s were a regular occurrence in Koh Lanta and almost every restaurant provides at least some seafood dishes. 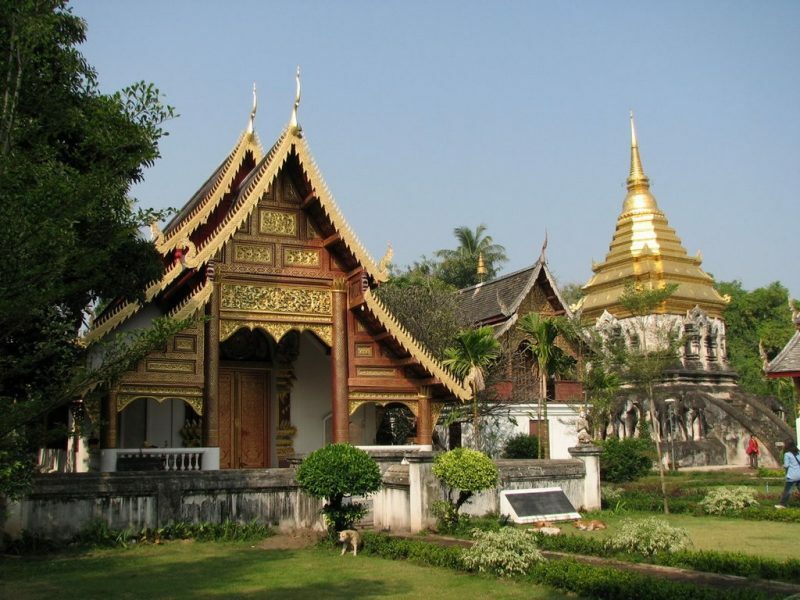 Thailand has thousands of Buddhist temples located all over the country. Even if you aren’t religious, you should still visit them. There is something very peaceful, relaxing and about the temples in Thailand. Remember to remove your shoes when you enter. See here for some of Thailands most impressive temples. 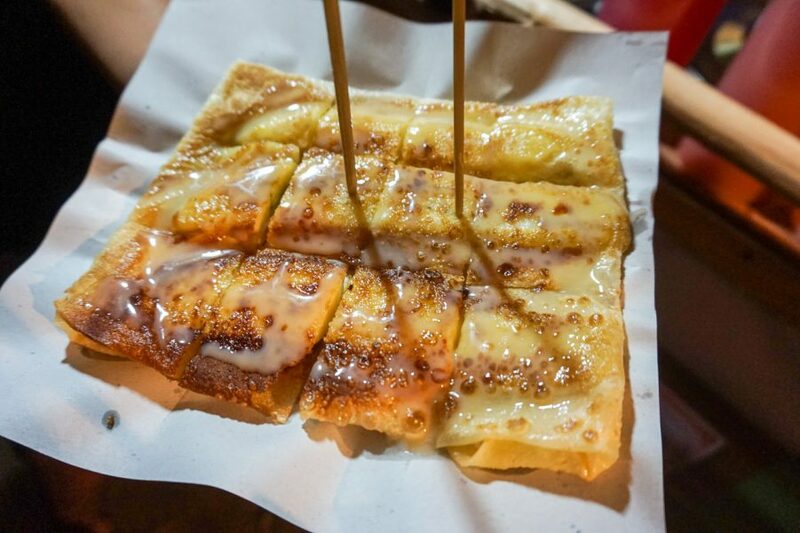 If there was heaven on earth, Thai Pancakes would definitely be it. We probably ate these a little too regularly but for only $2 how could you not! There are roadside stalls everywhere. Enjoy them savoury or sweet or a combo of both. Our favourite was definitely the banana drizzled with condensed milk… droooool. The list of things to love in this country could go on and on, but there has to be a line somewhere. In all honesty, it is such a beautiful country and although it is filled with many tourists every year (29.9 million in 2015 to be exact), don’t be put off by this! 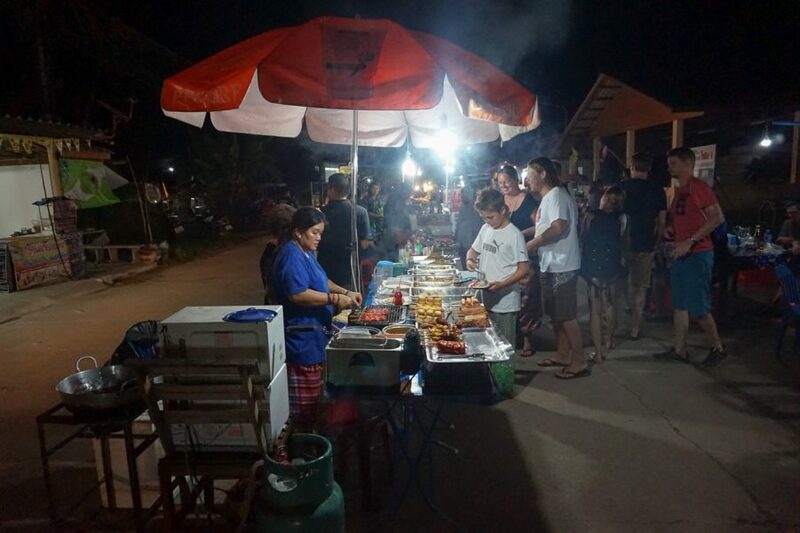 If you don’t find yourself here for the cheap massages, pristine beaches or people, the least you can do is come for the food! If you’re stuck with planning, check out this awesome itinerary to get the ball rolling. What else do you love about Thailand? Let us know! Hi Jacob, thanks for the post. Hope to make there someday. I’ve been to Bali, Indonesia & it felt similar though in a smaller scale. Just to mention the H3 title “Submit a Comment” above this comment box gets jumbled due to the Related Posts above it. The div #respond can use a clear: both; to fix that. We plan to do Indonesia next year, so we will compare. Thanks re the Submit a Comment box, we will have a look at it. Absolutely love Thailand and its people having visited several times over the past few years. One favourite dish I had on my last visit to Bangkok was the spicy seafood salad Yum Talay, so so good. The Thais are amazing people, so kind and friendly, makes every visit there a joy. Thanks Bryan, we didn’t get to try that one but sounds great! Glad you experienced the friendly Thai hospitality. If you love taking photos, why not turn your travelling experience into a photo diary or project? My question is, what did you like best in Thailand fa and where we re your favorite places?